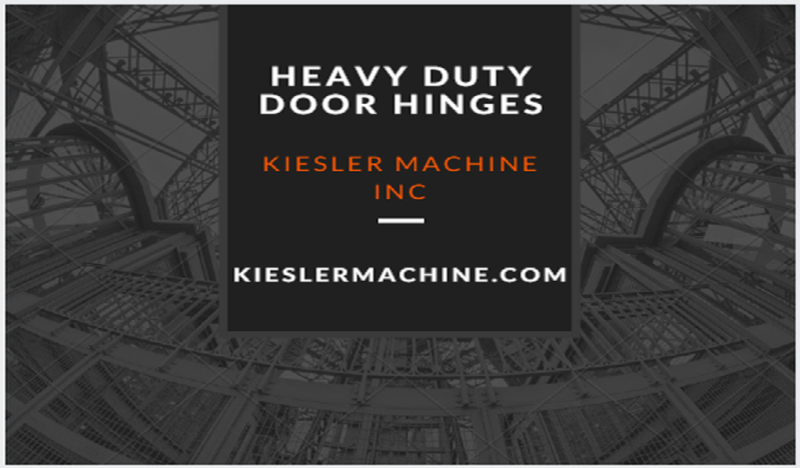 Kiesler Machine Inc. – All in One Destination for all Kinds of Heavy Duty Hinges – Kielser Machine Inc.
Kiesler Machine Inc. is the name synonymous with quality heavy duty hinges. 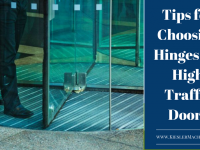 We are the right source for a wide range of hinges, which are specifically designed for heavy doors and gates. 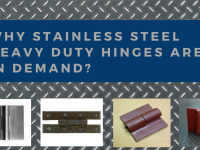 Our heavy duty hinges are ruggedly manufactured to withstand daily use in high traffic areas of industrial and medical environments. 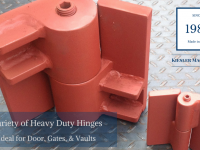 Kiesler Machine is the complete source for both standard and customized hinges that are Made in the U.S.A. We have a large inventory of the following types of heavy duty hinges. Door Hinges – Manufactured using 304L and 316L types of stainless steel and carbon steel. These hinges are designed for doors up to 40,000 lbs. in weight. 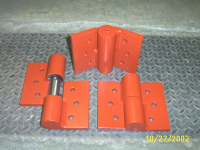 At Kiesler Machine Inc., these hinges are supplied with blank leafs for weld on applications or supplied with mounting holes for bolt on installations. Heavy duty door hinges are available in both left and right hand configurations. 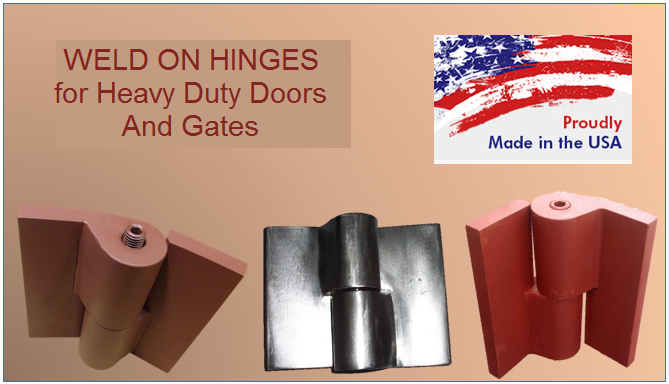 Pivot Hinges – These hinges are exclusively designed for heavy duty door and gates. 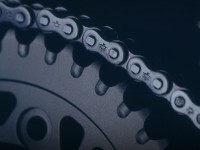 They feature exceptional load bearing capacities, years of maintenance free service, and the stainless steel models offer excellent corrosion resistance. These hinges are largely chosen for applications in food processing plants, medical/nuclear research plants and marine environments. Weld on Security Hinges – They are designed for mounting on heavy duty gates and doors between 800 lbs. and 2,000 lbs. in weight. These hinges are tamper resistant, making them an ideal choice for security applications. They are designed for installation in vault doors, shipping containers, and prison doors and gates. Radiation Shielding Hinges – They are ruggedly manufactured to withstand constant use and provide years of trouble free service. Available in left and right configurations, these hinges can be supplied with or without mounting holes. 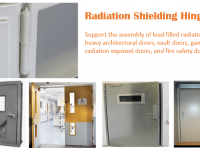 Examples of their applications include; lead filled radiation doors and heavy architectural gates. 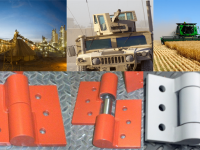 Whatever is your requirement, Kiesler Machine Inc. is committed to providing quality hinges at competitive prices. We are committed to provide the best customer assistance possible. 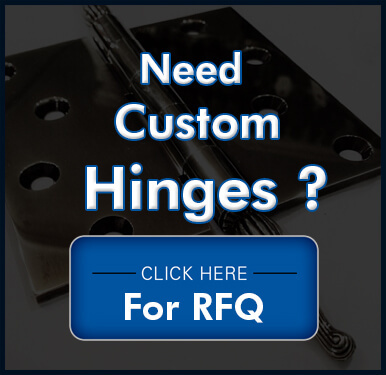 Call us right away if you have any questions pertaining to our heavy duty hinge category. We are here to help you towards an informed purchase. 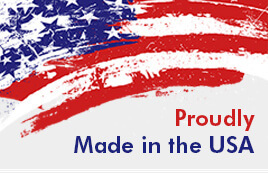 Made in the U.S.A. with pride.